Swimming is a sport for all ages. It helps young people today to tone their muscles and grow healthy and robust. For the elderly, there's no superior option to workout than acquiring a Cameroon Swimming Pool to escape from every day routine. Do you know of any Pools in Spain that must be listed here? Contact us!. Are you a regular swimmer? Have you ever practiced Aquagym in Cameroon? Let us know!. For Cameroon and its vicinity, we're showing you all the registered pools, some of them have no GPS coordinates and cannot be discovered on the map at the map. Not all countries are the identical, and swimming rules and regulations are changing from one country towards the other. So, if this really is your first time searching for Cameroon Pools, be sure you contact the premises prior to you drop by. 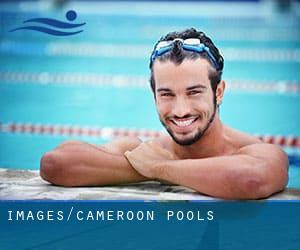 If you will be searching for Cameroon Pools, it's excellent to know a lot of of them belong to gyms or sports centres which also give lessons. Get informed by calling the premises. One on the advantages of outdoor swimming in Cameroon is the possibility to sunbathe in the course of the summer time season. Taking it with added care, sunbathing is healthful due to the fact introduces Vitamin D into the body, so the most beneficial selection seems to be switching between indoor and outdoor pools depending on the season. Without a shadow of a doubt, swimming in Yaoundé could be the very best way to unwind after work. Take a couple of minutes to browse Swimia's catalog to find a Swimming Pool in Yaoundé. Whereas Garoua is one of the six most populous cities in Cameroon with nearly 436.899 residents, you shouldn't miss that one if you're going to Cameroon. Let us tell you a secret to switch off while you might be in Kousséri: just opt for a Swimming Pool in Kousséri and plunge into the water! There's no additional efficient method. Holding an estimated population of 1.338.082, Douala is one of the most important cities in Cameroon. Check all of the Swimming Pool in Douala and its surrounding area. Avenue De La Liberte 52 , Douala . This sports centre provides 25 meters, 5 lanes, Outdoors. For this Swimming Pool, only phone number is number here.